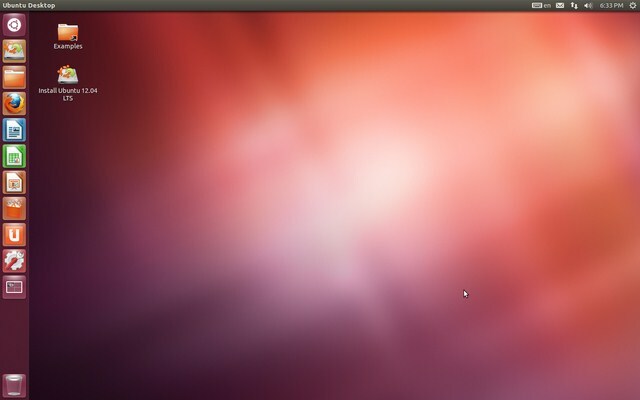 Ubuntu Linux is back released his latest version, that is Ubuntu 12.04 LTS Desktop (Precise Pangolin). Linux-based operating system developed by Canonical Ltd. was launched on April 26, 2012. Ubuntu can be run directly from the CD or chip installed beforehand to Hard Disk like on other operating systems. For connoisseurs and the actuator open source, the presence of the latest Ubuntu always awaited. The operating system which is free and open source has always been updated periodically, about every 6 months. As one of the Linux Debian distributions, Ubuntu is known quite stable. Although the latest version of this operating system is always present in two packages, i.e. for desktop computers and servers, however the desktop version of Ubuntu or for personal computer usage was more popular and widely used. The latest features offered in this release of Ubuntu 12.04, among others Head-Up Display (HUD), Video Lens, and Ubuntu Software Centre. Head-Up Display (HUD) provides an alternate way of operating a computer. Without much need to do click in the menu, you can simply press the Alt and command quickly through the list of available functions. Video Lens will make it easier for You to find a collection of videos, both from within the computer or from the internet. Through Ubuntu Software Centre, You can equip your computer with a variety of additional applications as required. For computer users who are already accustomed to working with Windows applications, Linux also provides features that enable the application Windows Wine run directly from Linux. Unlike Windows vulnerable to viruses and other malicious programs, Ubuntu Linux is relatively safe. Only the circles may not be sated are fans of the game, due to their difficulty in Ubuntu will play their usual game enjoy in Windows. Ubuntu is one of the examples of evidence, that free does not mean cheap or not quality. Package an operating system that has been equipped with a wide array of computer applications programs for Office, internet, and multimedia making Ubuntu is able to compete with other operating systems that are commercially available. Ubuntu users can also download and add your own applications on another computer for free through Ubuntu Software Centre features, so there is no more activity search for certain software CD installer as usual done in Windows operating systems. In addition to the free, because of working in an environment that is different from the operating system Window, then Linux can be said to be free of computer viruses. Users of Ubuntu Linux will not confuse with virus issues, may not even need an antivirus program (though the antivirus for Linux is also available). A constraint that is often encountered by users of Ubuntu and other Linux-based operating system is on the introduction of the latest hardware. Some of the latest hardware products may not have been recognizable output or can’t work properly. This is because the hardware vendor provides software drivers generally only for the Windows operating system. Users typically have to be patient waiting for the next release so that the hardware can be recognized properly by Ubuntu. For those who can’t be patient, users can actively looking for a solution on the internet, because many Ubuntu user community that share information, tips, and tricks to overcome problems like this. Related to "Ubuntu 12.04 LTS Desktop, Safe Operating System and Comfortable"